Proper money management is a cornerstone of modern life. Credits, loans, dozens of credit cards. It's not easy to win this battle if you are not a master of your money. FineAnces is a powerful tool that allows to track all your money transactions, loans and debts. Besides, FineAnces supports account management, so you will never get confused with your three (four, five, twenty) Visa cards. Become a real master of your money! Why do you need FineAnces? With FineAnces you will get: * user-friendly management of incomes and expenses * support for multiple accounts (cash, credit cards etc.) * instant two-click access via tray icon * strong password protection of your finance files * support for debts and loans * export to PDF and Microsoft Excel Become a rich man with FineAnces! Amphis - Customer is a Customer Database that makes it easy to generate quotes and invoices, keep track of who owes you money, send reminders, store correspondence and sales history. sales per sales person. store supplier invoices and payments. 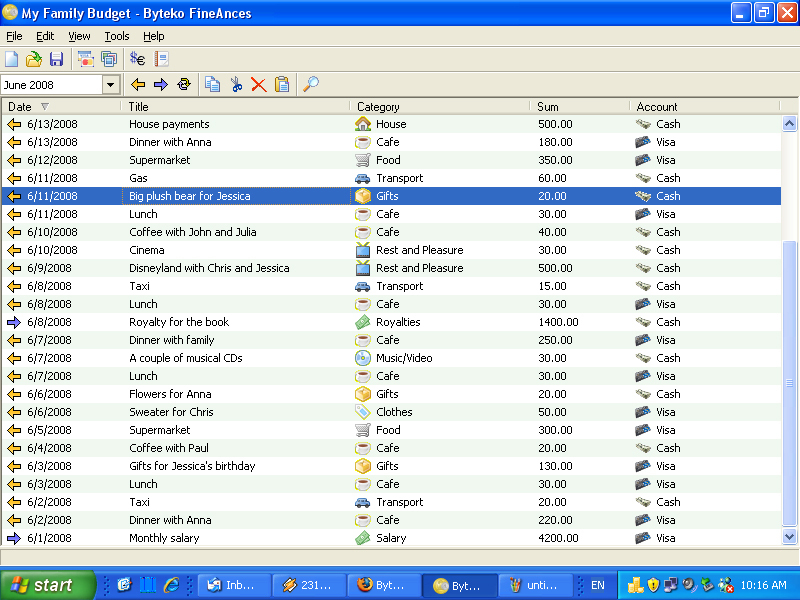 SimplyCash is an easy to use software utility that will allow you to keep track of your daily expenses and income. Its quick and after using the software you will notice that it is really a breeze to enter new transactions and view reports. Complete invoicing software that integrates all your osCommerce on-line shops. Qinvoincing allows you to automatically fill up your osCommerce on-line shop as well as download all data you have in your osCommerce. This site does not contain serial number, crack, keygen FineAnces serial number : serial number is the simplest type of crack. A serial number(cdkey,product key,etc) is register the program as you may already know. a crack or keygen may contain harmful software. If you cannot find the exact version you want, just give it a try. for more information read .nfo/.txt/.diz file include in zipped file.